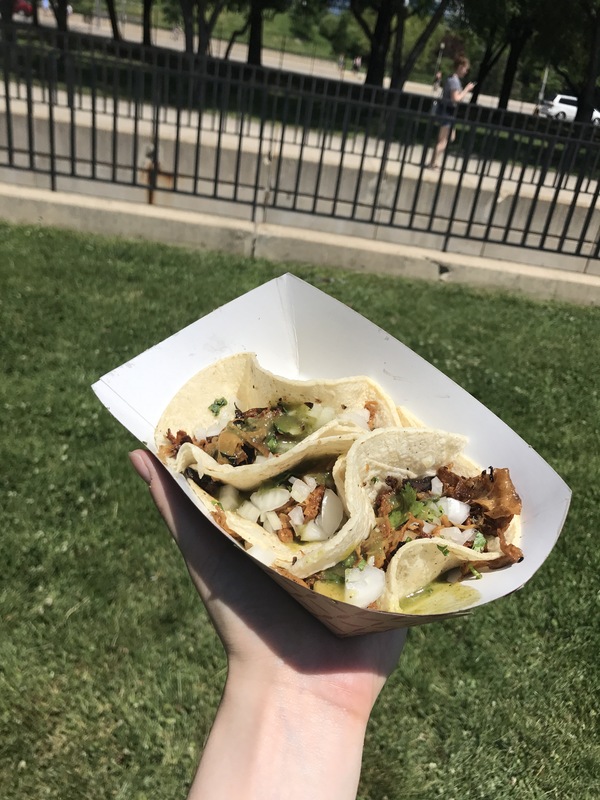 Today was the Chicago Vegan Food and Drink Fest in Grant Park. It was so much fun! There were hundreds of people and tons of vendors with yummy food. With vendors ranging from Vegan Dots to catering companies, the fest had enough food to keep you occupied (and totally darn stuffed) all day. We went over the lunch hour, though the event ran until 7:00. The lines were already long when we got there at about 11:15. People were sprawled on the grass and in lawn chairs, holding tacos, beer, kombucha, burgers, fries, and marshmallows. It was like a smaller Taste of Chicago, but everything was vegan! Even the beer! 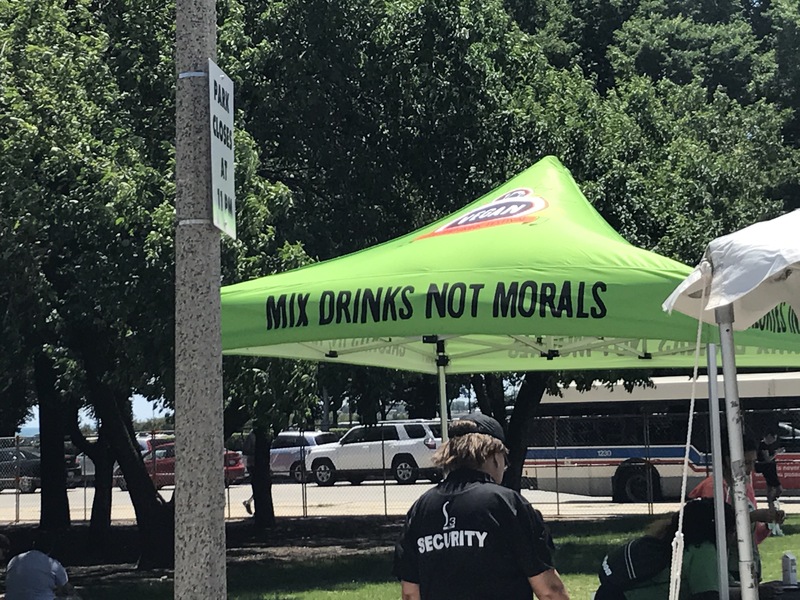 I went to the event with a fellow meat-avoider. It was 90° and we, like morons, didn’t bring water bottles. To get our liquid fix, we went straight for the longest line in the park- Tropic Love. They served smoothies in fruit!!! They took the inside pulp of a fruit out, blended it with coconut water, and poured it back in the fruit. So simple, but so darn good. These guys are based in Toronto, but I would love to see something like this on the Chicago beaches in the summer. After dealing with our thirst in the most stereotypically vegan way, we got some tacos from Taqueria La Veganza. All of their tacos have some sort of soy-based protein. After fueling up, we peeked at every dessert option. We had looked forward to Bad Day Donuts, but it had a long line (though not as long as the line at Tropic Love), so we went for gelato at Sacred Serve. Sacred Serve makes super creamy vegan gelato out of coconut meat and coconut sugar. We were excited to find this company because they are based in Chicago!!! Most of the vendors at the fest were from other cities around the country, making it hard to try their products again. Sacred Serve isn’t in mainstream grocery stores yet, but it’s at specialty ones like Green Grocer Chicago. We loved the food that we tried, but we have some questions about how eco-friendly this event actually was. 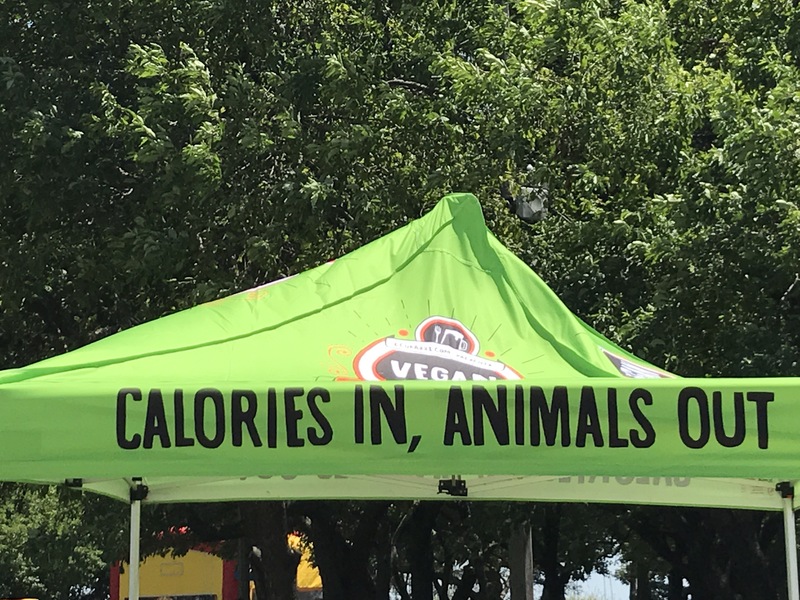 Of course, vegan food is much better for the environment than animal products are, but we saw a lot of plastic at this event. There also wasn’t any place for compost! Not all vegans avoid meat because of its environmental impact, but many do. 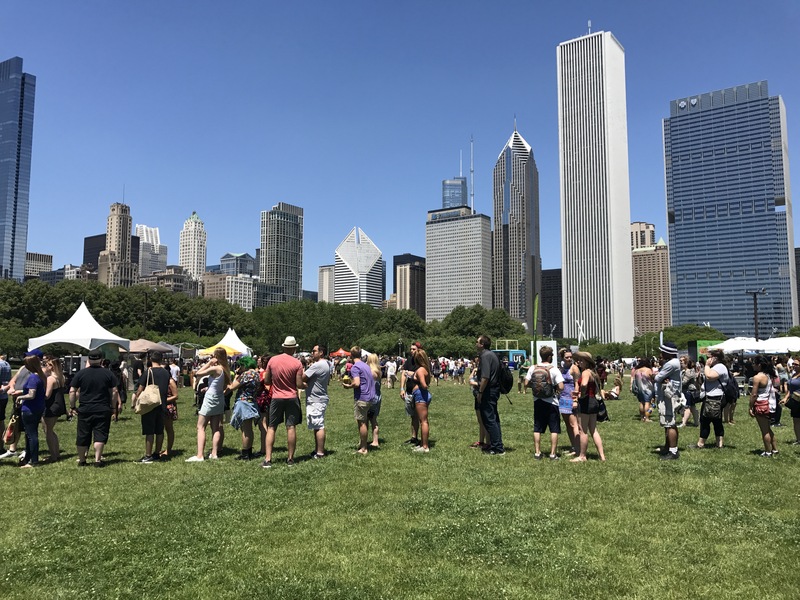 Without options for more eco-friendly waste disposal, the festival missed a great opportunity to capitalize on the vegan desire for a healthier planet. On the whole, this was a great event. We have no complaints about the food! We wish vegan food was this abundant in the city! It was so fun to learn about new products and to see hundreds of people getting hyped about vegan food. If this event happened more than once a year, we’d go! So sad to hear that there wasn’t compost at this event! I would assume something like this would definitely have compostable plates and cutlery as well. Previous Chicago Commits to Paris Agreement!!! Next How Green was the Green Music Fest?